Thai architects Achawin Laohavichairat, Montakan Manosong, and Peerapon Karunwiwat have conceptualized a fascinating beehive-style apartment that lives off the waste of existing buildings. Instead of building new structures in Bangkok’s dense urban landscape, the designers propose to clip small apartments onto existing buildings like a bee hive. These parasitic structures would then purify the host-building’s waste water in order to generate the energy they need to function. 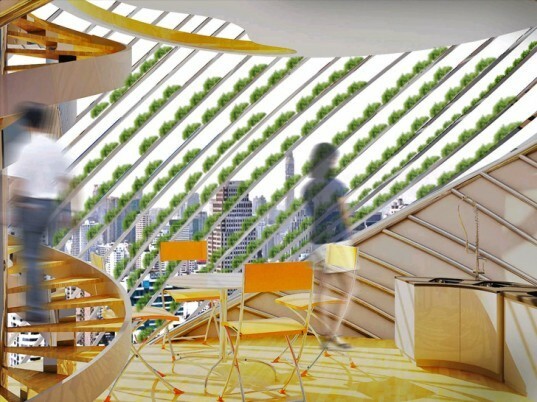 The designers suggest that Bangkok’s existing buildings, which produce significant quantities of waste water and solid waste, could make an excellent foundation for their new beehive-style apartments. Every day the city’s high-rise buildings produce 30,000 liters of waste water every day. This alone could sustain the futuristic zero-energy dwellings. Although we love the idea of not having to pay electricity bills, it is unclear how the inhabitants would get in and out of their clip-on apartments, and no provisions – that we know of – have been made to ensure privacy for either the host or parasitic structures. This is both an interesting and imaginative concept, but we have grave doubts that it will be implemented in the near future. Thai architects Achawin Laohavichairat, Montakan Manosong, and Peerapon Karunwiwat have conceptualized a fascinating beehive-style apartment that lives off the waste of existing buildings. Instead of building new structures in Bangkok's dense urban landscape, the designers propose to clip small apartments onto existing buildings like a bee hive. 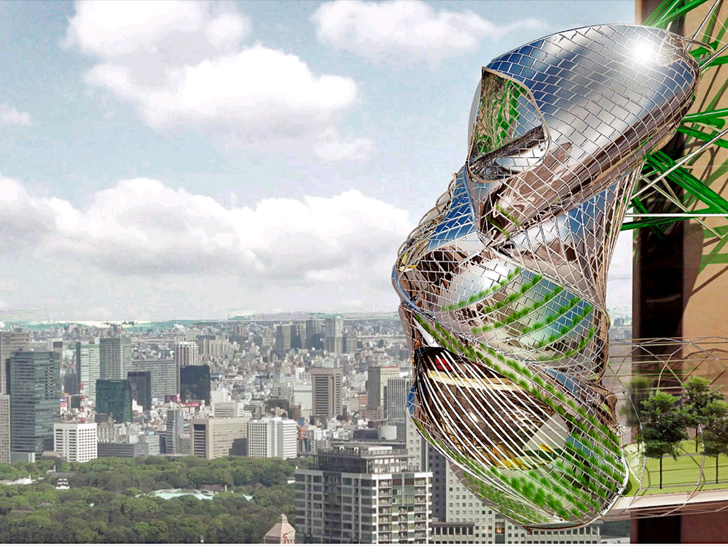 These parasitic structures would then purify the host-building's waste water in order to generate the energy they need to function.